Or, you simply prefer the speed and stability of an Ethernet connection, rather than Wi-Fi, to connect your computer to the local network or the Internet. Same question. What do you do when your computer doesn’t have an Ethernet port, but you have big files to upload? This is where the Macally U3GBA comes in handy! 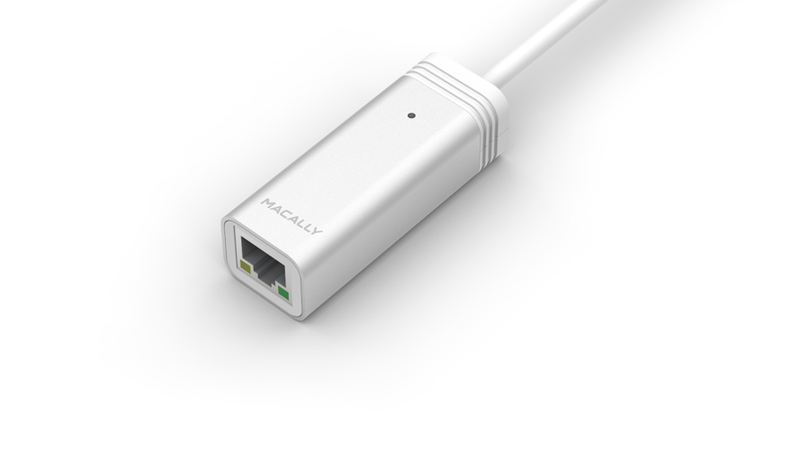 The Macally U3GBA adds a Gigabit Ethernet port to your computer and allows you to connect it to a Gigabit Ethernet network with connection speeds at 10/100/1000Mbps. The U3GBA supports USB 3.0 (5Gbps) for the best performance, and is backwards compatible with USB 2.0 (480 Mbps). * Driver for Gigabit Ethernet required and available for download from the Macally website.